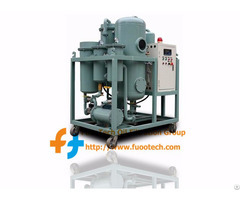 The waste lubricant oil toDiesel fuel oil machineis widely used for different kinds ofengine oil, industrial lubricant oil and all other lubricant oil. It can covert black waste engine oil, industrial lubricant oil and allother lubricant oil into diesel fuel oil and Gasoline by Catalytic distillation. 1. This is an environmental-friendly andenergy-saving project, which benefits the human beings. 2. After-treatment, the final product is diesel fuel oil which could be use as fuel oil. 3. Addsome catalysts in the process to make the pyrolysis temperature low and get oilwith better quality. 4. 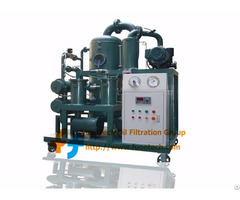 Ituse the vacuum distillation technology, the oil temperature in the process isfar lower than the distillation range under the atmospheric distillation, sothat it reduces the energy consumption and the costs. 5. It use the to-be-treated oil to exchange the heat, it not only can efficientlycool the system, but also provide the heat to heating the to-be-treated oil. 6.The structure of the whole system is reasonable, simple and it is easy to maintain.The final wastes can be used as fuel or other purpose. 7. It improves the efficiency and reduced the energy consumption by using the directheating. 1. It features low processing cost. The processing cost is about RMB200-300 per ton. 2. It's simple to operate by two or three persons. 4. It'swidely used in many industrials, such as waste lubrication oil, crude oil, plastic oil, etc. 5. It realizes high recovery rate by about 85%. The specific recovery situation issubject to the raw material condition. 6. The final diesel oil has no color change and no bad smell for long term storage. 7. It takes the most advanced technology of used engine oil recycling in the world, which is suitable for large-scale industrial production. It includes three phases in the wholeprocess. Raw material tank farm is treated by centrifuge to removepart of the moisture and impurities, and then mixed into the blending kettle, and inside of the mixing kettle, raw materials mixed with catalyst, and themixed material will be heated to a definite temperature by heating furnace andthe goes into the distillation section finally. The raw oil will enter into the fractionating columnafter pretreatment, and after cyclic heating by the heating furnace, theresidual oil will be send to tank farm as the fuel oil. Afterdistillation, the oil's Property is not stable, the color will be changed in afew days, so it need be refined processing, firstly, mixing the treated oilwith diesel oil decolorizing agent, and then the mixed oil will enter into therefined tin, finally after deslagging processing, user will get the finishedproducts-diesel oil.